Just over a month away, the Canadian Bioeconomy Conference and Exhibition (the largest event of its kind in Canada) is showcasing an impressive list of presenters and exhibitors. The BC Community Forest Association is hosting their 2018 AGM at the site of BC’s first community forest – Burns Lake; and the Sustainable Forestry Initiative says “Forests are the Answer” – find out why at their annual conference in Colorado. and an activist for the forest industry and Whitecourt Alberta city councillor, Ray Hilts, speaks up about woodland caribou, the forest sector and support for his community. The Canadian Bioeconomy Conference and Exhibition—formerly the International Bioenergy Conference and Exhibition—is only six weeks away. Held every two years in Prince George, BC, the conference is the largest and longest running event of its kind in Canada. 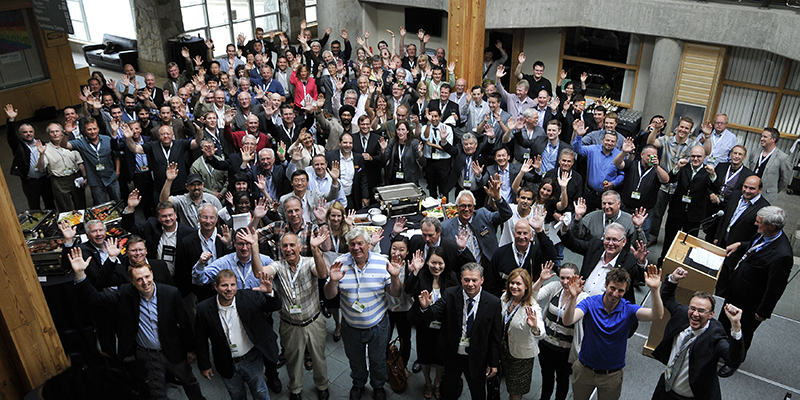 …The bioenergy industry in Canada has grown and matured since the conference was founded in 2004. The conference’s board of directors felt it was important that the event reflect the diversification in the use of woody biomass across the full value chain of bioproducts. Program highlights include: a community energy workshop, wood products safety summit, industry-leading speakers program and an inside look at Canada’s larges pellet operations. Here are just a few of the organizations already confirmed to attend. VANCOUVER – Canfor Pulp Products Inc. today reported first quarter 2018 results and quarterly dividend. The Company reported operating income of $85.1 million for the first quarter of 2018, an increase of $18.3 million from the $66.8 million reported in the fourth quarter of 2017 as the benefit of near-record high US-dollar pricing for Northern Bleached Softwood Kraft pulp and improved productivity in the latter part of the quarter more than offset challenges presented by severe winter weather in Western Canada earlier in the period, and the effects of major transportation disruptions to all the Company’s operations through the quarter. VANCOUVER – Canfor Corporation today reported first quarter 2018 results. The Company reported operating income of $203.8 million for the first quarter of 2018, down $10.4 million from reported operating income of $214.2 million for the fourth quarter of 2017, as lower operating earnings for the lumber segment were offset in part by record-high operating earnings for the pulp and paper segment. Reported results in the first quarter of 2018 include a net duty expense of $34.9 million, at a combined effective countervailing duty (CVD) and anti-dumping duty (ADD) rate of 14.34%. This compares to a net duty recovery of $23.4 million in the fourth quarter of 2017 reflecting the year-to-date true-up of preliminary CVD and ADD rates to current rates following final determinations announced by the US Department of Commerce and US International Trade Commission. Alberta’s forestry sector, already facing challenges from softwood tariffs imposed by the United States and the growing threat of the mountain pine beetle, fears a labour disruption at CP Rail could make a tough situation even worse. “We have a challenge in getting rail cars at the moment — the rail system in Canada is maxed out,” said Paul Whittaker, the CEO of the Alberta Forest Products Association. Lumber producers have been hit by the same backlog of rail cars as the agriculture sector, leading to large stockpiles at sawmills and lost profits. “Only about half the number of rail cars we are seeking are arriving at the mills,” Whittaker said. A potential strike was averted over the weekend after the federal government ordered CP Rail’s two main unions to vote on the company’s final contract offer. The unions are urging their members to reject the deal. VANCOUVER, B.C. – Canadian lumber giant West Fraser has appointed Ray Ferris, the company’s executive VP and chief operating officer, as its new CEO – effective when current CEO Ted Seraphim retires at the end of 2019. “This is an important step in the implementation of our CEO succession plan. Ray has worked closely with Ted for many years and has demonstrated tremendous leadership in executing our operating and capital plans,” Hank Ketcham, chairman of West Fraser’s board of directors said. “His leadership, experience and proven commitment to people, safety, operational excellence and maintaining our culture will continue to drive our company forward. I know that I speak on behalf of all our employees in saying how pleased we are that Ray will be our next CEO,” Seraphim added. The $10-million Skeena Sawmills canter line upgrade has been delayed due to the poor condition of a number of old sawmill buildings, exposed during last winter’s periods of heavy snowfall. Operations vice president Roger Keery said the mill is re-engineering its plans and has structural upgrades in mind for the existing sawmill building, which will take place before the mill moves forward with its modernization. “We had some problems with old buildings over the winter,” said Keery. “With the snow we had, some of the weaknesses in our older buildings became obvious. Our original plan was to use the existing buildings, but we are rethinking that now.” Engineers from McElhanney Consulting Services are meeting with Keery to look at re-engineering the project — deciding how to proceed. When it comes to providing supply chain assurances, producing conservation outcomes, and supporting education and community engagement – Forests are the Answer. The 2018 SFI Annual Conference will engage you in a discussion focused on why Forests are the Answer to so many of our conservation, community, and supply chain challenges. The SFI Annual Conference brings together thought leaders and influencers: forest sector representatives, conservation and community partners, and Indigenous leaders as well as some of the most engaged forest product customers in North America. Creating resilient forests while recovering and rebuilding from last year’s wildfires is a challenge Rodger Stewart will face in his new position as director of regional initiatives for the ministry of forests in the Cariboo Chilcotin region. Stewart says the plan is for the Ministry of Forests, Lands, Natural Resource Operations and Rural Development (FLNRO) to work with First Nations governments, communities, the forest sector, landholders and stakeholders to rebuild the forest estate and enhance forest resiliency. “Having communities directly involved in the recovery of the landscape and their forests could be the silver lining in what was once a dark cloud of smoke,” Stewart said. Earlier this month, Forest Enhancement Society of B.C. (FESBC) announced it is investing $134 million and that $99 million of that amount was going into the Cariboo Chilcotin. Declining water quality is a pressing environmental challenge and a landscape scale issue, affecting public and private landowners and many aspects of society. The need to protect water resources has prompted both government and individual involvement in finding solutions. …The use of Best Management Practices (BMP) and other strategies have been shown to mitigate water quality impacts from land use activities and can help to ensure healthy water systems. …This report includes information and lessons learned from the forest sector, where BMPs for water quality protection are widely used on private and public lands and have been effective in reducing and mitigating impacts associated with forest management activities. Sicamous is looking into using wood waste to heat buildings and maybe even generate electricity. At their meeting on April 11, the Sicamous council adopted a bioenergy opportunity report and directed district staff to look into federal funding through the clean energy for remote and rural communities program. …Wood heating pellets and other sources would be an affordable fuel source that the report says are plentiful in the area due to the active forestry operations in the region. Three bulk suppliers of heating pellets located within 100 kilometres of Sicamous are identified in the report: Tolko Industry Ltd. in Kamloops, Pinnacle Pellet’s Armstrong facility and the Adams Lake sawmill. It acknowledged there may be other smaller suppliers as well. Wood energy was among the topics discussed during an April 19 hearing held by the U.S. Senate Committee on Energy and Natural Resources that examined rural energy challenges and opportunities. 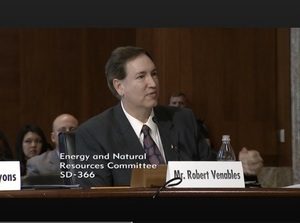 Robert Venables, executive director of Southeast Conference, discussed the use of wood heating in Alaska during his testimony. Southeast Conference is a federally recognized economic development district for southeast Alaska. The organization aims to develop strong economies, healthy communities and a quality environment in southeast Alaska. “Our vision for southeast Alaska is to reduce, to the maximum extent possible, the use of imported diesel as a primary fuel source for the generation of electricity, space heat and transportation,” Venables explained in his written testimony.